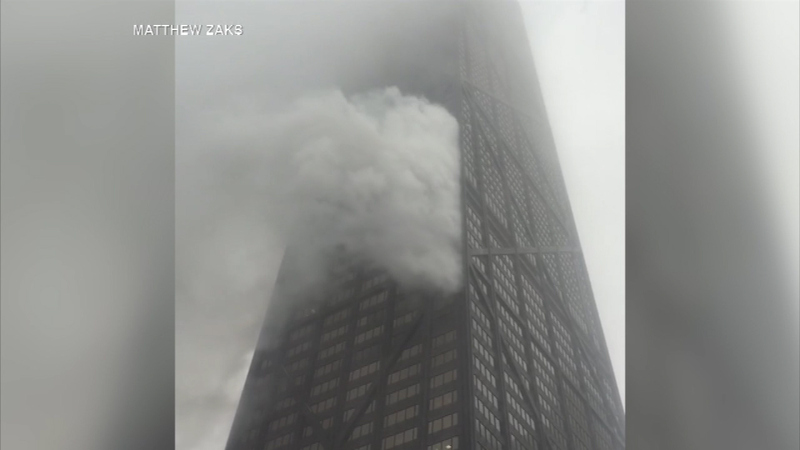 Flames ripped through an apartment on the 50th floor of the Hancock Center Saturday afternoon. CHICAGO (WLS) -- There are new developments following the I-Team's report on the John Hancock building's failing alert system during last weekend's fire. In a letter to residents obtained by the ABC7 I-Team, the Hancock homeowners' board says the system is now functioning and that they're trying to find out why it failed during the fire. Five people were injured as panicked residents and visitors flooded smoke-filled stairwells and hallways. The board says it will create a safety and security committee. Residents called for such a committee two years ago after the I-Team reported the Hancock was featured in a terrorism magazine and does not require visitors to go through metal detectors.